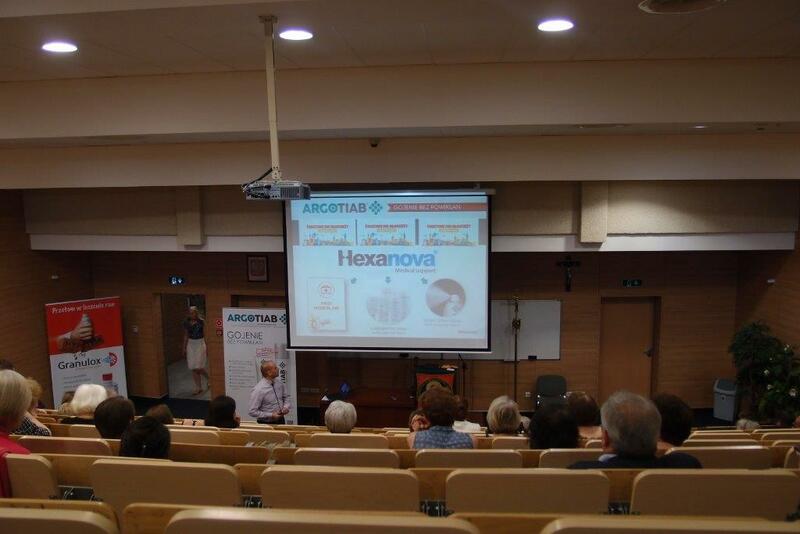 • Hexanova is the brown sponsor of the Polish PFED (Polish Federation of Diabetes Educators) Conference. More than 250 diabetics from all over the country participated in the event. 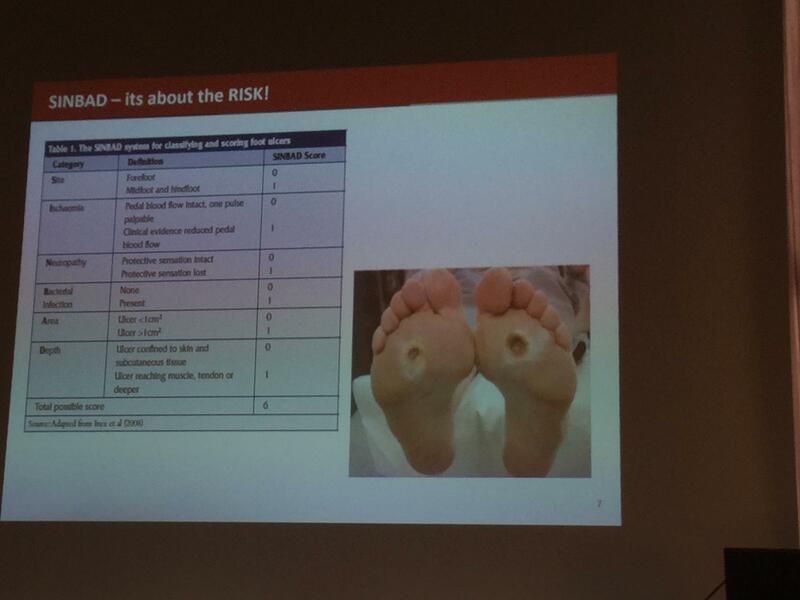 One of the leading themes was the treatment of diabetic foot disease in patients with diabetes. 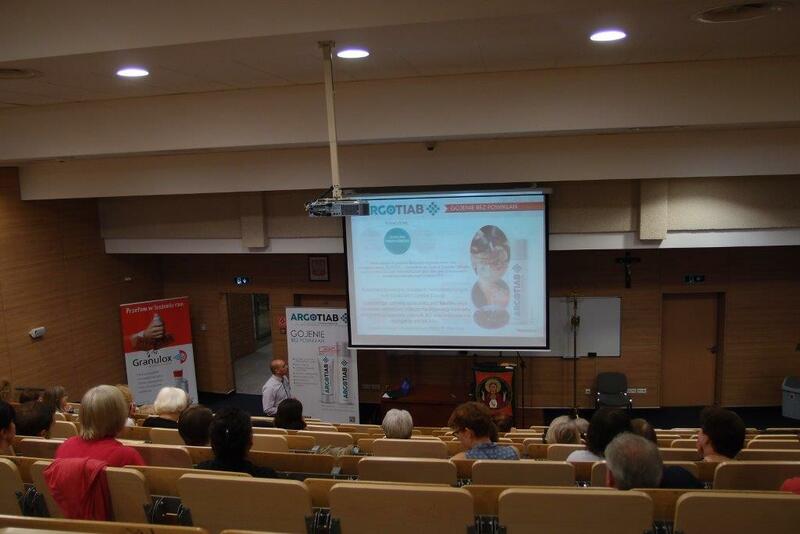 During the conference, Hexanova helped to organize a lecture given by Mrs. Anita Mysor, a specialist diabetic nurse who works in a Berlin hospital every day. The specialist has many years of experience as a lecturer and is one of the most well-known nurses in Germany. 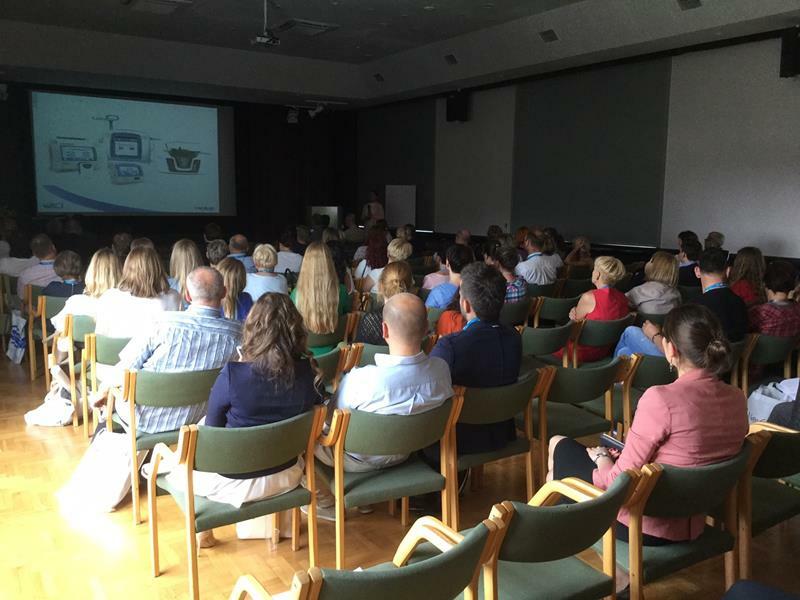 The conference hosted a lecture on patient care with diabetic foot syndrome in a multidisciplinary treatment network for patients in the DACH region and Mr. Andrzej Kurianowicz, MD, who discussed legal issues with the profession of diabetes nurse. Hexanova has once again been introduced to the market of Argotiab Spray and Argotiab Cream as an effective method of treating wounds in chronically ill and oncologic patients. Over 500 physicians, nurses, hospice directors, hospital directors and ZOLs, clergy and volunteers attended the conference. The topics discussed at the conference were i.a. Diagnosis and treatment of cancer, prevention, and treatment of pressure ulcers and nursing in palliative care. 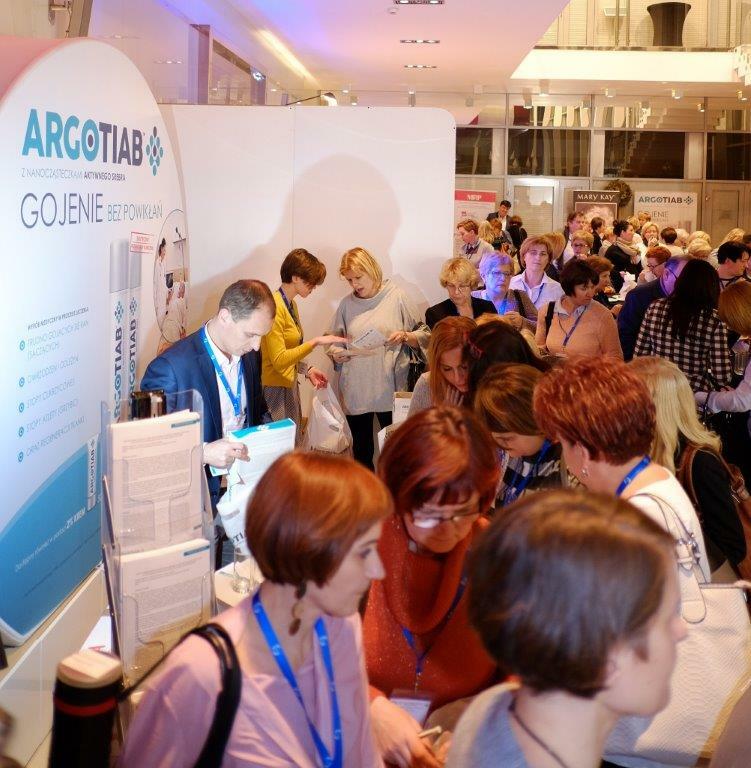 • Gynecology 2017 – Conferencess for gynecologists in 16 Polish cities. 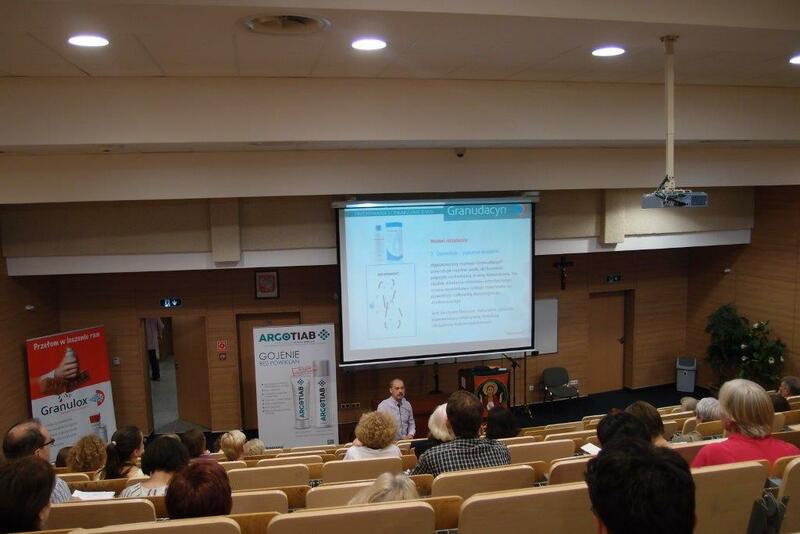 Hexanova took part in the 12th edition of educational symposia “Gynecology 2017 – standards of conduct, the latest news”. A series of lectures exclusively for gynecologists and obstetricians. As part of the treatment of bacterial and fungal infections, the use of nanoparticle silver in the TIAB complex has been widely discussed. 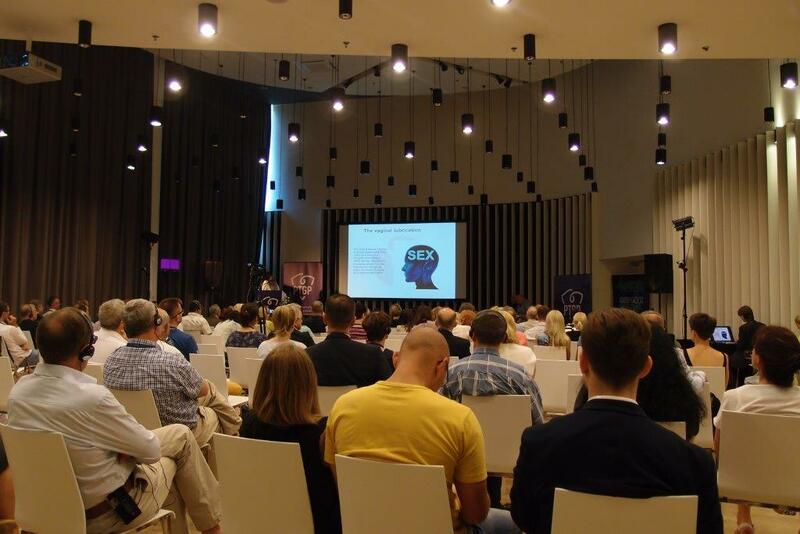 Lecturers from Lublin, Warsaw, and Katowice drew attention to the increasing resistance of antibiotics used as a standard in the treatment of vaginal infections. An alternative solution discussed at conferences is the use of nanoparticle silver in gemology in the Hexatiab product of Hexanova. 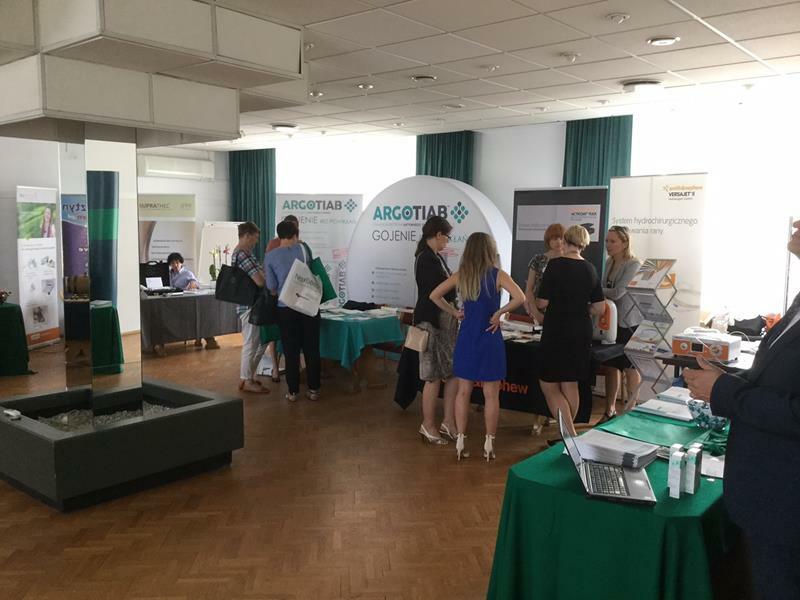 • The Congress of the Academy after Dyplomie “algorithms to gynecology and obstetrics” Warsaw 16-17 September 2016. • On 25-26 June 2016, the band took part in Hexanova II International Congress of Gynecology and Plastic Surgery, a compendium of theoretical and practical knowledge which is the basis for the introduction of treatments gynecology plastic and aesthetic practice gynecologist. 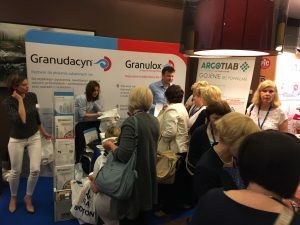 Międzynarodowym Kongresie Ginekologii Plastycznej i Estetycznej1″ Hexanova presented a line of products that are widely used in the treatment of infections intimate and treatment of post-operative wounds in gynecology surgery and wound healing post-partum. Discussed were proven treatment techniques labiominoroplastyki, labiomajoroplastyki, waginoplastyki, hoodoplastyki and perineoplastyki that successfully and bezbólowo can be performed in the treatment room and the complex reconstructions discussed at video presentations from the operating room. The novelty during the congress operations were BellaMama: abdominoplasty, liposuction and lipotransfer restore the figure before the first pregnancy and treatments Anti-Aging using platelet-rich plasma, laser and acid hialorunowego, including the latest generation of lasers II. 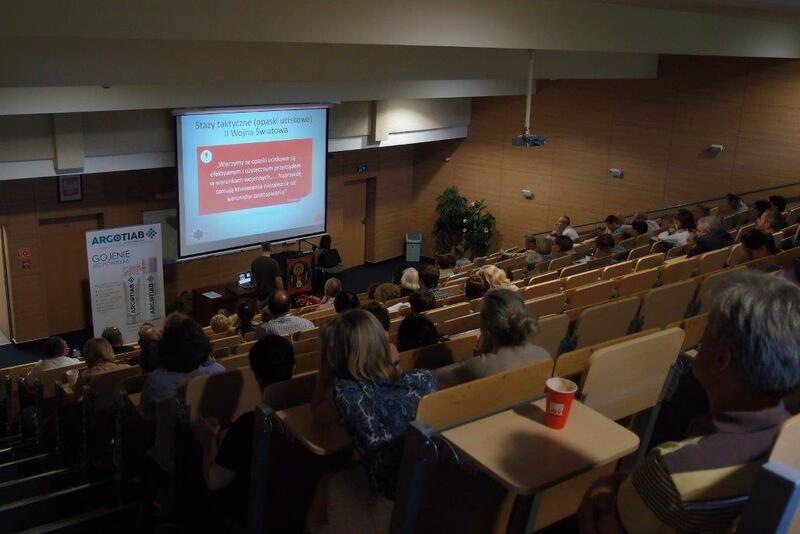 • Hexanova took part in the training of Medical Services in support Volunteer ŚDM Krakow in 2016. 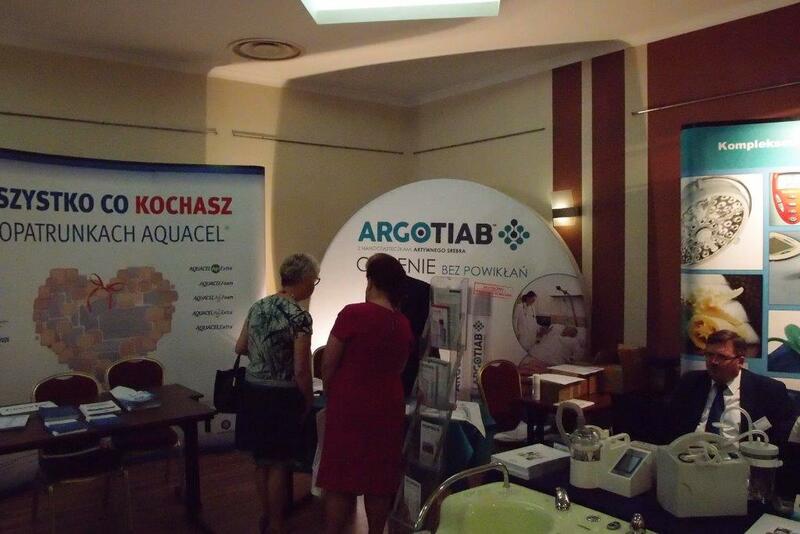 On 19.06.2016, together with a team of paramedics had the opportunity to showcase products and Argotiab Granudacyn in various medical situations, ie. burns, skin damage, bleeding, wounds and other injuries. 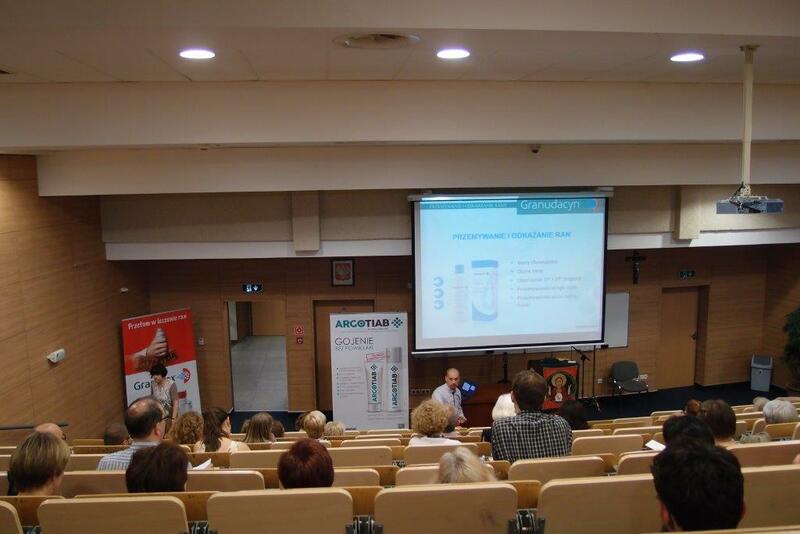 Each participant -pielęgniarek and doctors – has been equipped Argotiab Argotiab cream and spray. The company will also provide the all points ŚDM medical product to wash wounds Granudacyn Sastomed. It is honor for us that we can support such a wonderful event. 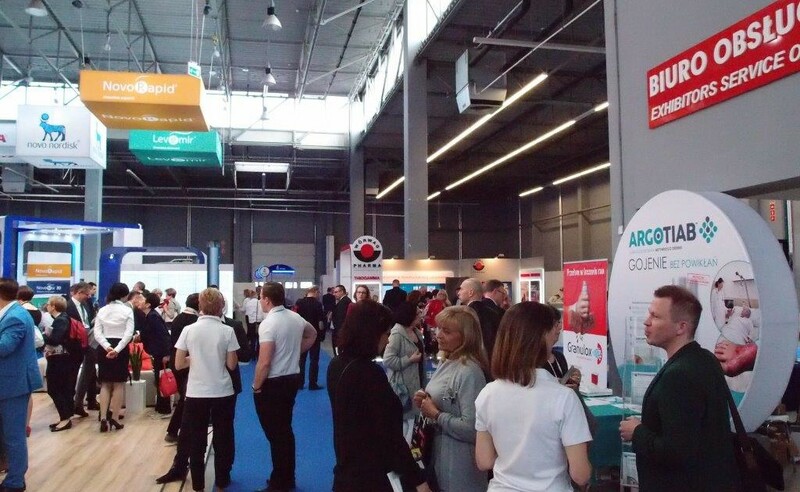 • Hexanova® medical partner of the World Youth Days – Krakow in 2016. We are proud to support such a great event which is World Youth Day 2016, which will be held from 26-31 July 2016 in Krakow. 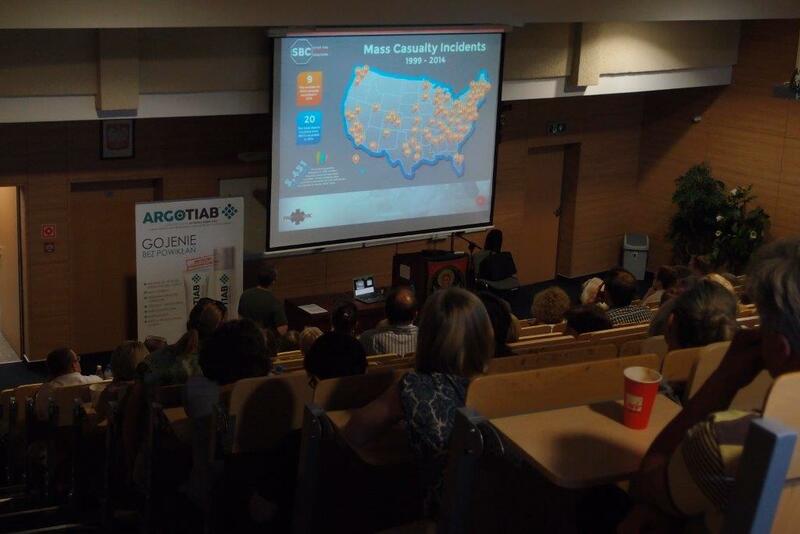 Hexanova® takes part in training medical services and equips rescuers in products Argotiab and Granudacyn to support first aid. We also prepared a guide to medical first aid, which will be available for all participants of World Youth Day. On 2-4 June 2016. 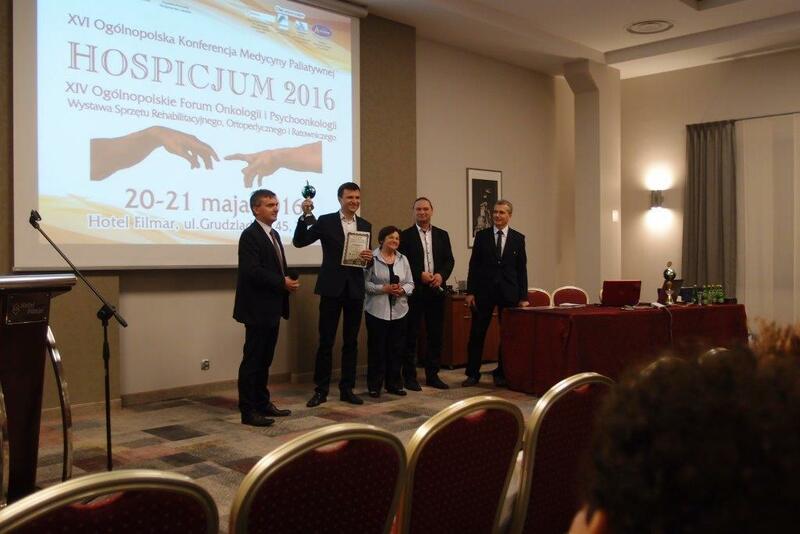 In Poznan took place XVIII Symposium “Burns 2016” organized by the Medical University them. 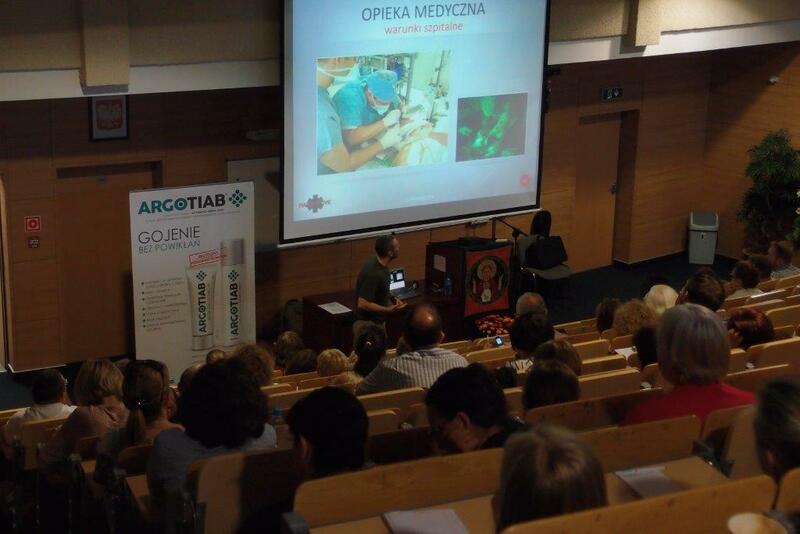 In Poznan Department of Surgery of Trauma, Burns and Plastic Surgery headed by Prof. zw. dr. med. Krzysztof Słowiński Wielkopolska Branch of the Polish Society of Burn Treatment under the chairmanship of Dr n. med. Jerzy Sikorski. 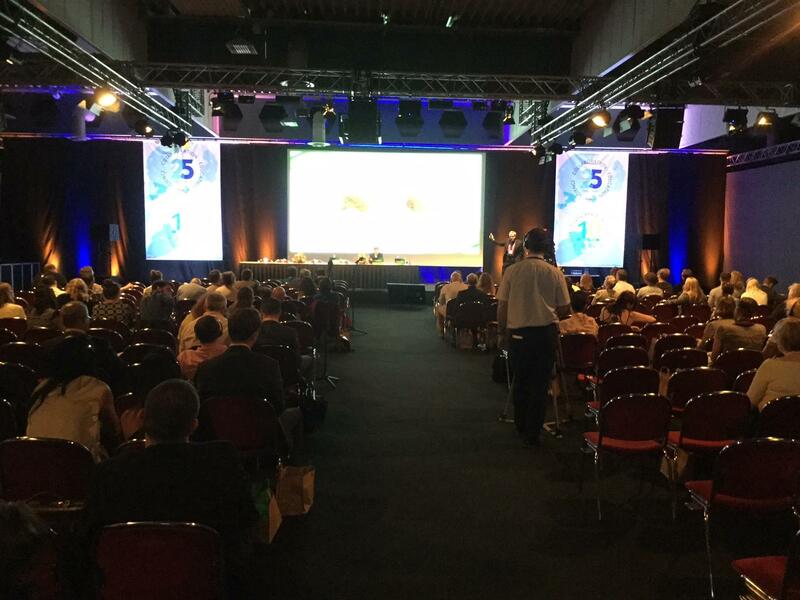 During the 3 day conference was an opportunity to exchange experiences and learn about new scientific reports and challenges in the treatment of burns. Doctors and nurses of the hospital branches burn can also read the latest equipment and dressings presented by pharmaceutical companies. 1. The sequence of events after the adoption of hard oparzonego of temporary supply through resuscitation, renal replacement therapy for surgery. 3. The means of supply of the grafts. 4. Quality of life after burn. 8. Use the TIME concept for the treatment of infected burn wound. 10.Choroba alcohol and homelessness as risk factors in burns and frostbite. 11.Wyniki treatment of severe burns in the elderly (60+). 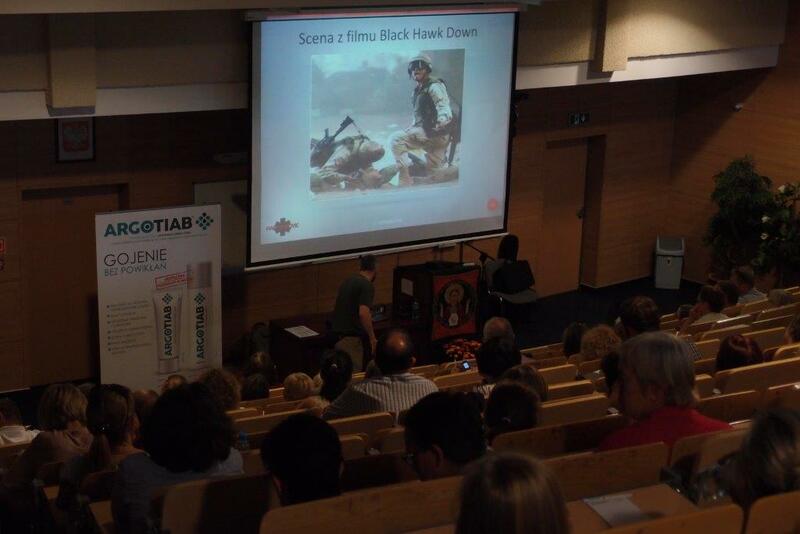 12.Nowoczesne technologies culture of cells and tissues in the treatment of burn wound. 15.Wyniki treatment of burns the respiratory tract. 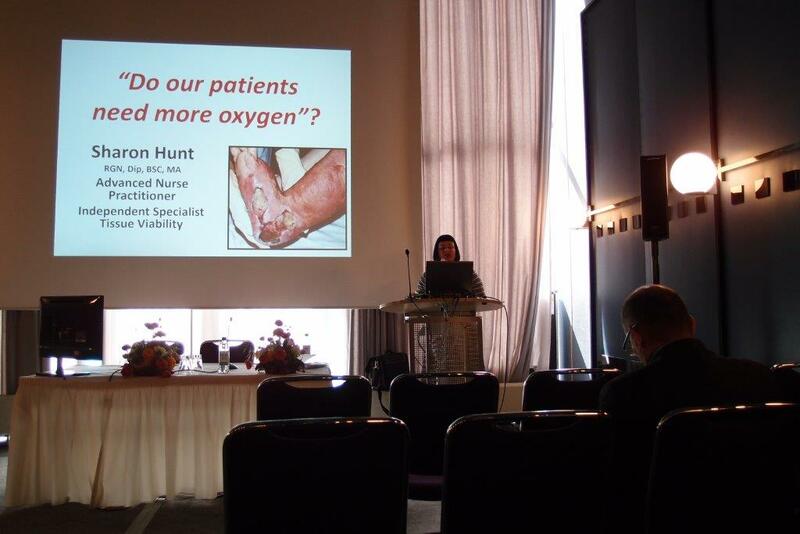 • Oxygen essential element of wound healing process – Hexanova in a series of conferences on chronic wound healing. 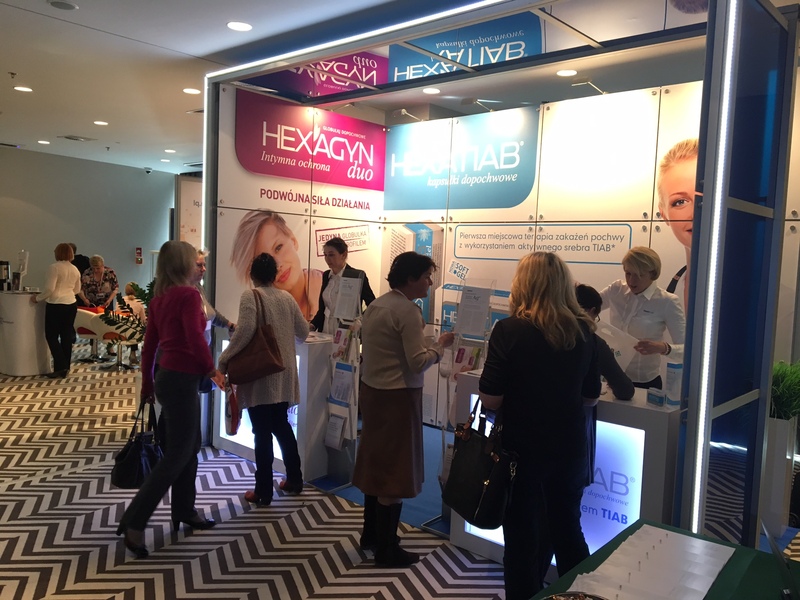 This year, once again, Hexanova took part in a series of conferences dealing with the treatment of chronic wounds. The conference featured the latest advances in techniques and treatments for chronic wounds. The use of hemoglobin in the spray (Granulox) has been widely discussed as part of the accelerated healing of chronic wounds and a completely new form of treatment. Presented clinical trials using Granulox have shown that it has a positive effect on wound healing and on the cost of treating wounds in lower leg ulcers, pressure sores, and burns. 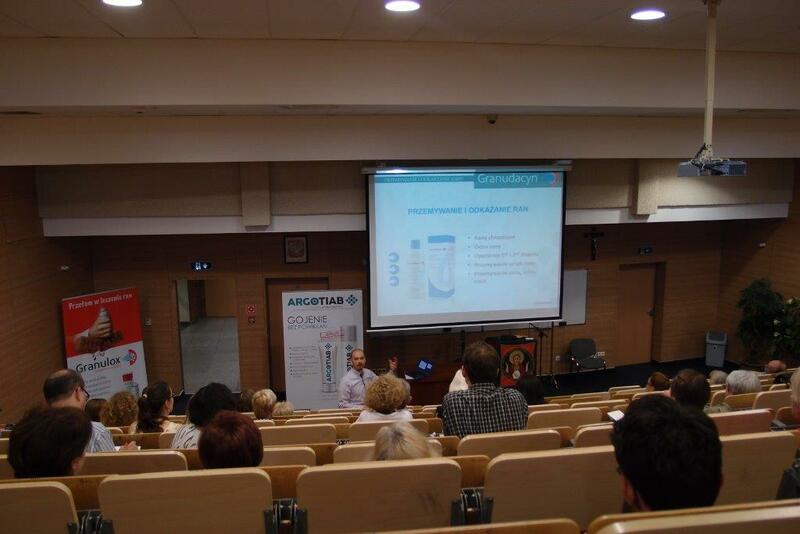 Meetings for specialists took place in Tarnow, Cracow, Katowice, Wroclaw, Zielona Góra, Gorzow Wielkopolski, Torun, Płońsk, Siedlce, Lublin, and Lodz. 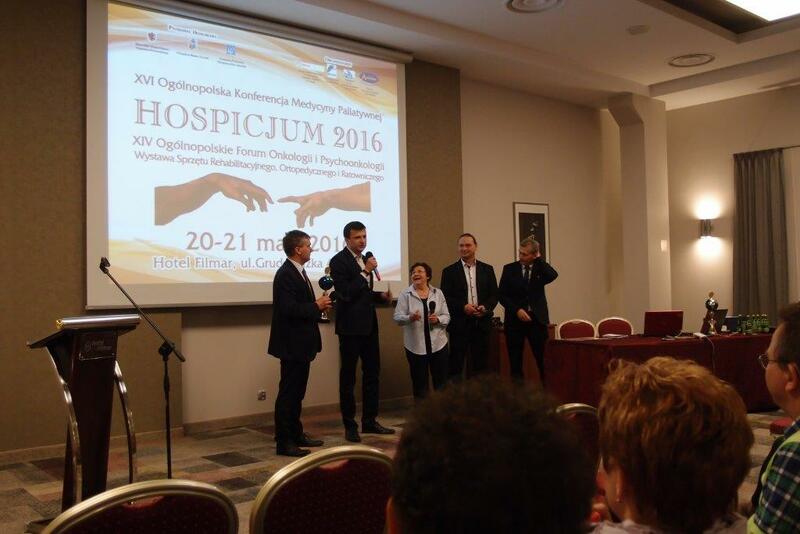 On 20-21 May 2016. the Hotel Filmar in Torun, was held XVI National Conference of Palliative Medicine “Hospice 2016”, combined with the XIV National Forum for Oncology and psycho. 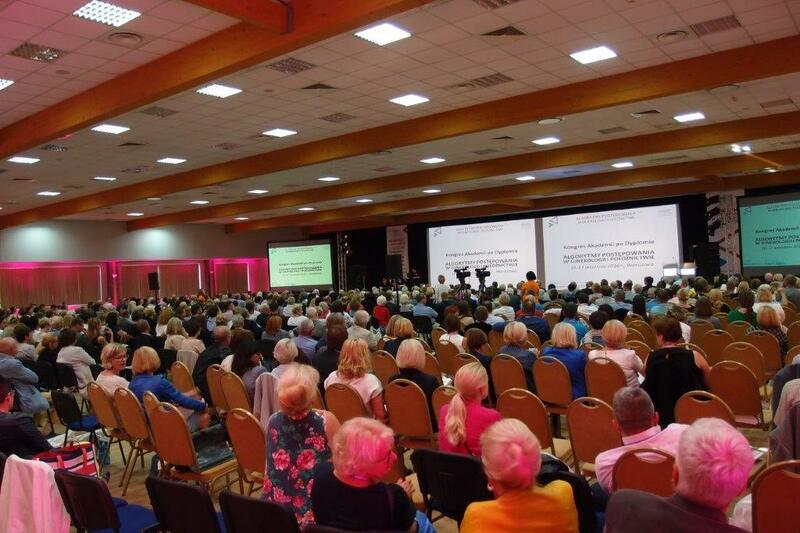 The idea held in Torun Conference and Forum is a joint meeting of all the communities involved in the treatment and care of the sick oncological, both treatable stage, how terminal and, in particular between doctors oncologists and people working in institutions of palliative care and hospices. · Diagnosis and treatment of cancer. · Problems of mental, spiritual and social patient and family / caregivers. 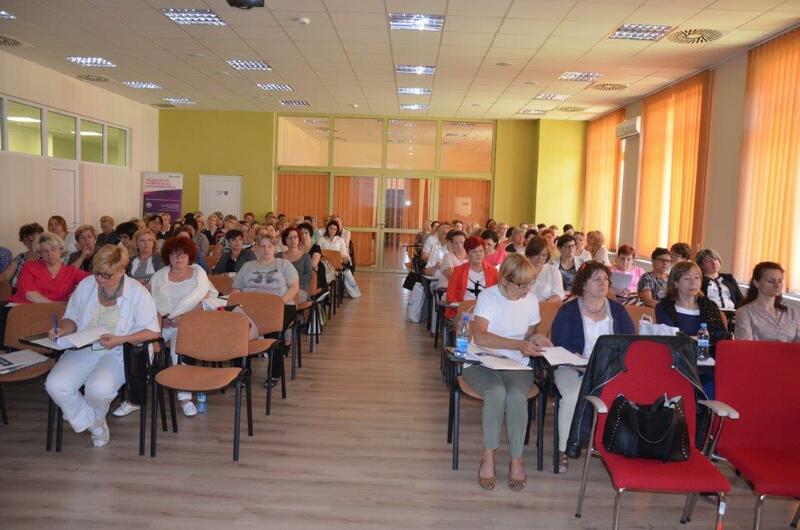 · The role of the GP in the system of palliative care and its cooperation with the hospice. · Nursing in palliative care. · Pain – diagnosis and treatment. · News and evaluation previously used dressing materials, rehabilitation equipment, devices in the field of hospital hygiene. · News in the pharmacological treatment. 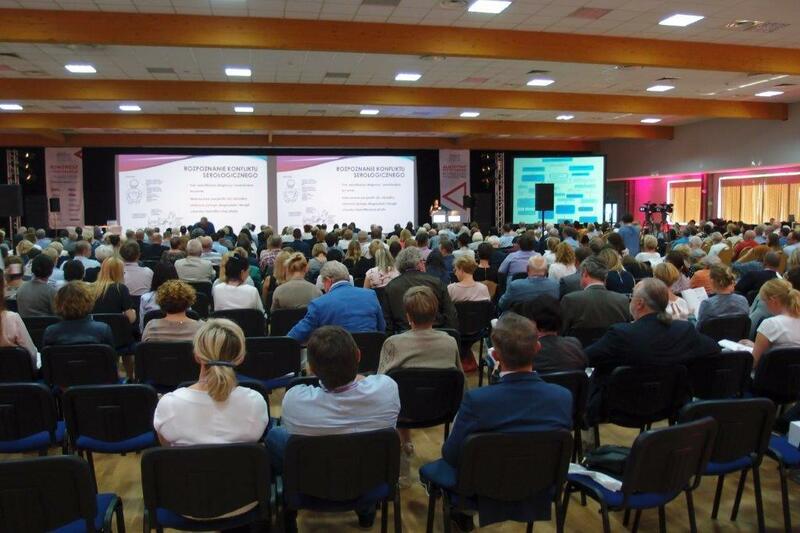 Conference and traditionally accompanied the exhibition, the aim of which was to present the achievements in the field of medical equipment, medicines and dressing materials used in palliative care and oncology. 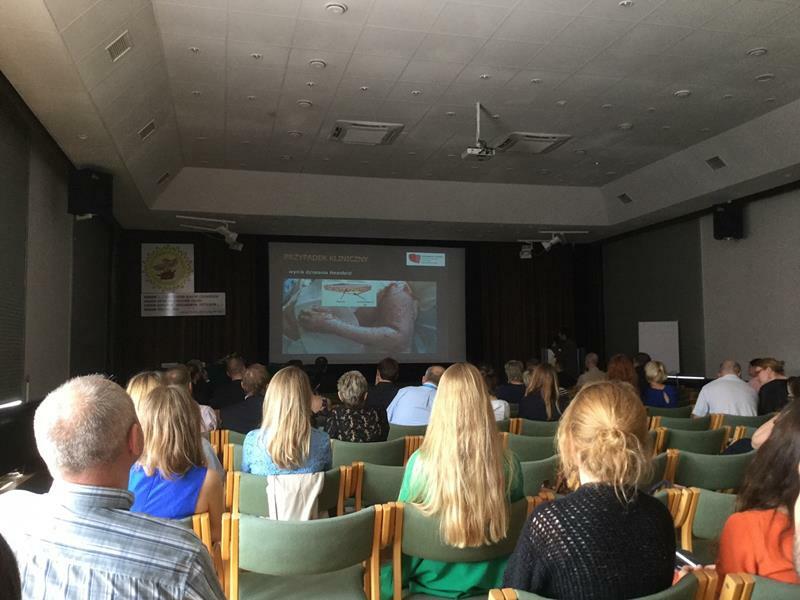 On 11 – 13 May 2016 in Bremen (Germany) was held 26ta Conference of the European Wound Management Association EWMA (European Wound Management Association) .Konferencja like every year was the opportunity to meet professionals from all over Europe and the world, and presentation of research results and scientific discoveries interventional medicine. 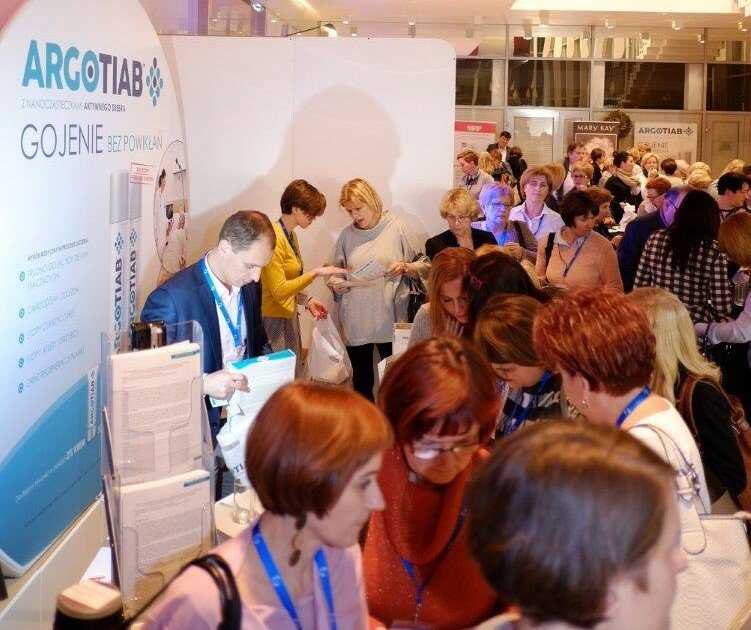 During the conference, the company Sastomed®, the exclusive distributor in Poland is HEXANOVA® organized scientific sessions presenting new reports and clinical studies with the use of a breakthrough product for the treatment of hard to heal wounds – Granulox®. 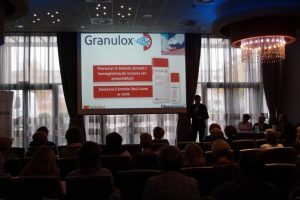 The present study by British scientists confirmed the effectiveness of Granulox®u also in the treatment of wounds and infected wounds reflow of necrotic foci. There were also presented pharmaco-economic data, which presented the costs of treatment of chronic wounds and diabetic foot. The cost of the standard treatment of a patient in the UK will cost an average of 3,300 pounds. Using innovative therapy using hemoglobin spray Granulox® treatment costs decreases by 50% to 1650 pounds. 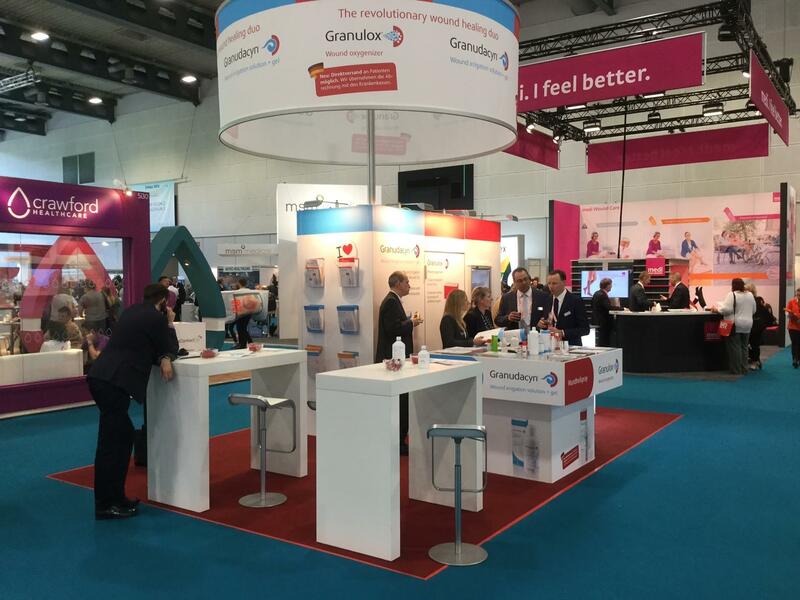 Thus it confirmed once again that the treatment Granulox®em is not only a new effective treatment for chronic wounds but also reduces the overall cost of patient treatment. 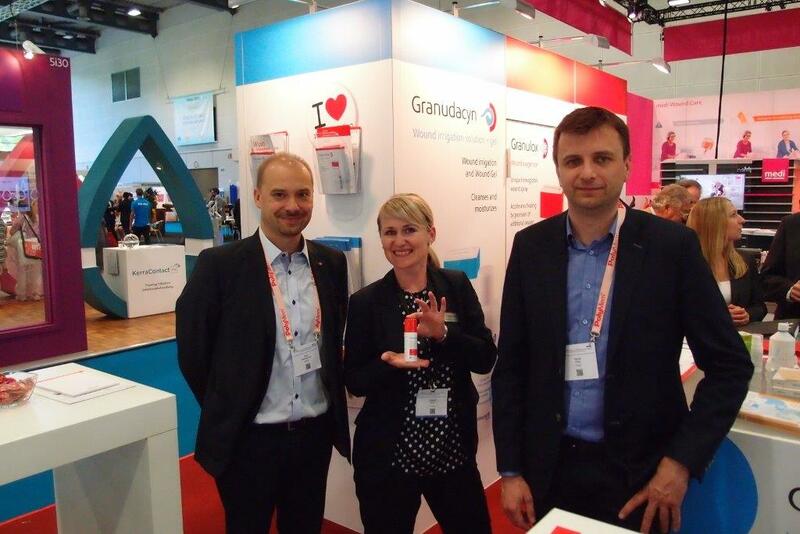 Granulox® will be available from July 2016 for Polish patients in pharmacies. 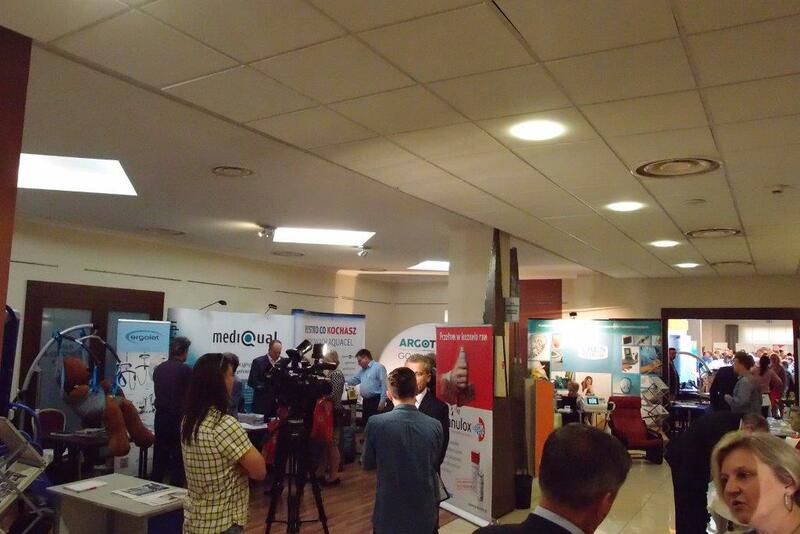 Congress of Polish Diabetes Association is an annual event, which brings together representatives of diabetes. During the inn presents the most important and most current news from the treatment of diabetes and diabetes care for patients with diabetes. 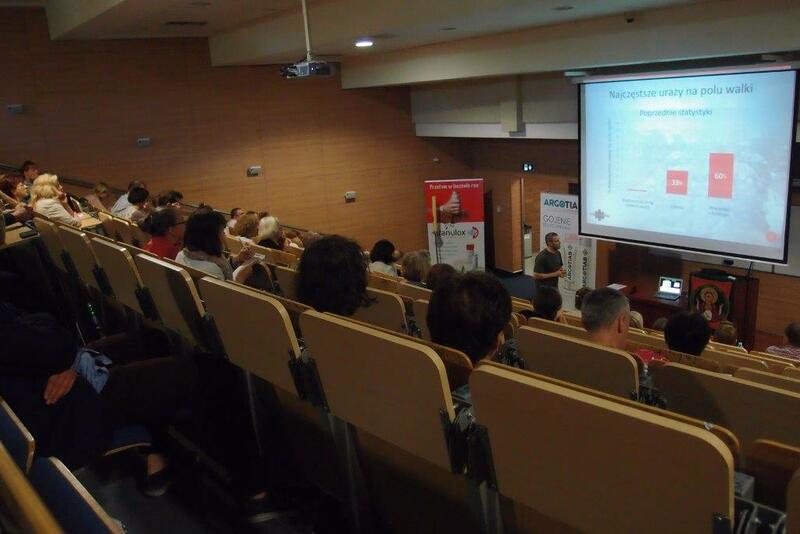 Lectures and scientific sessions that make up the program exit leading specialists of the leading clinics and diabetes centers in Poland. 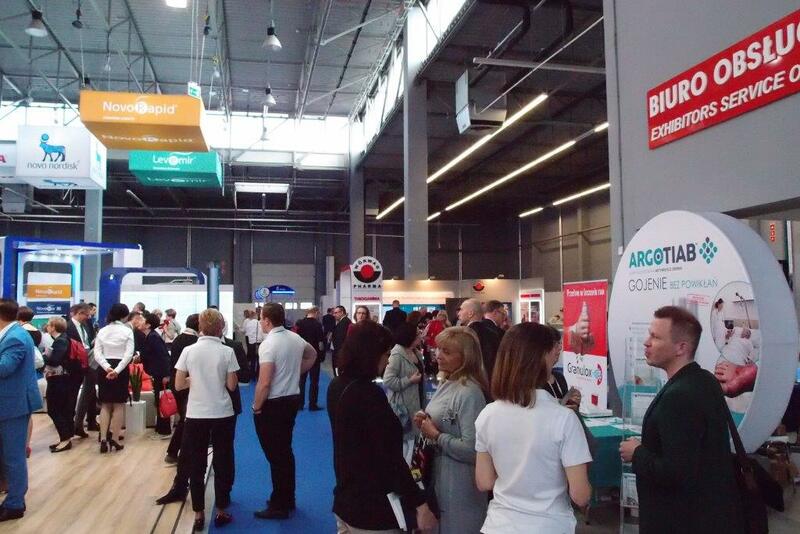 The congress annually involves some 2,000 people associated with the Diabetologia. 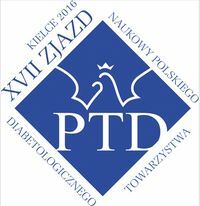 Organization of the XVII Congress of the Polish Diabetes Association Board of PTD entrusted Branch Świętokrzyskiemu, chaired by dr n. Med. Grazyna Majcher-Witczak. 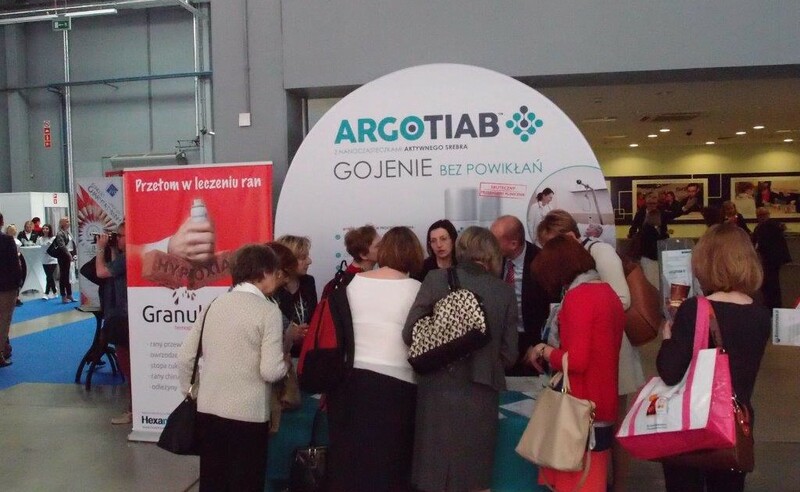 X Jubilee Scientific Conference of the Polish Federation for Diabetes Education (Ożarów 11-12 December 2015). 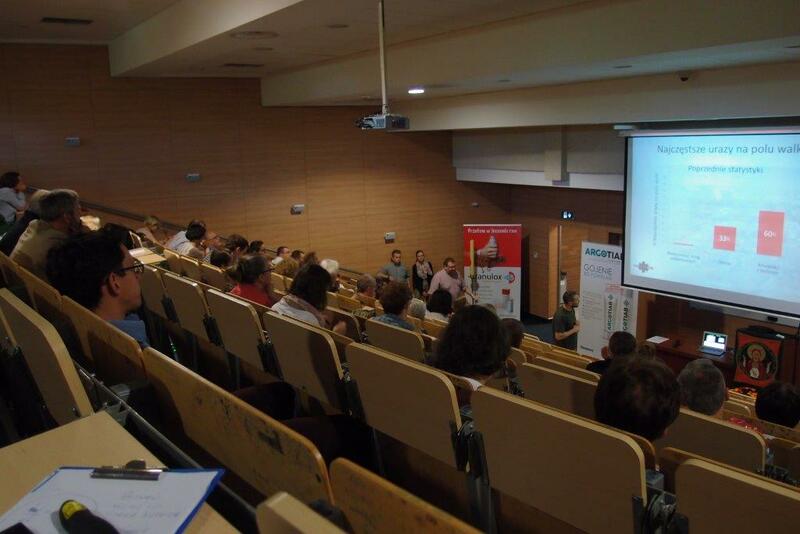 Focused around 300 participants – nurses, diabetes and guests – representatives of the university authorities, the management of hospitals, nursing national consultants, cooperating organizations and companies . 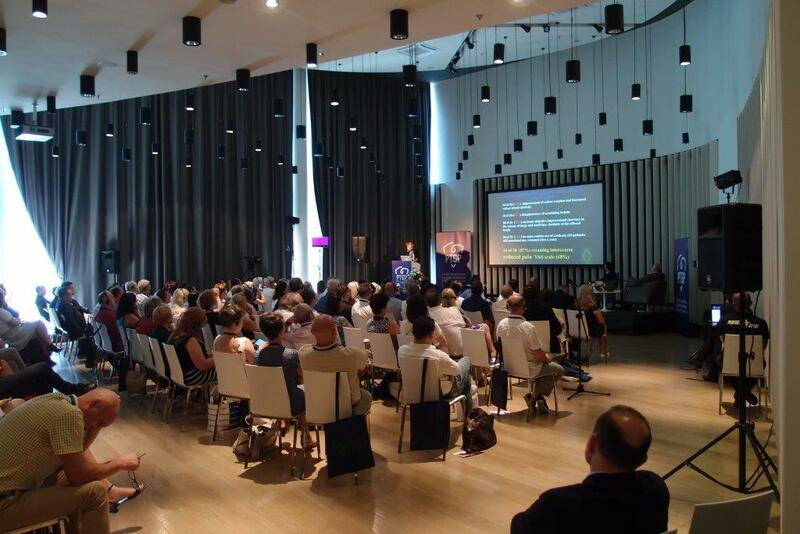 Opening the conference, President Alicja Szewczyk briefly discussed the ten-year activity PFED, stressing that the annual conferences are primarily aimed at improving professional skills and strengthen the nursing staff. Participation of experts in the field of diabetes – medicine and nursing – allows you to familiarize yourself with current knowledge and guidelines, and primarily on the direct exchange of experiences and opinions. The leading theme of the meeting was education as a therapeutic tool for teamwork.